If you are thinking of starting a London printing service you need to consider all of the equipment that you need to have. There are many people who do not consider the equipment and the capital you will need to cover this. 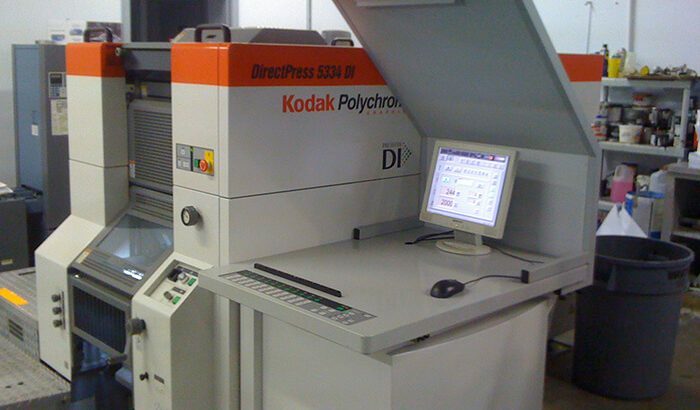 The most important piece of equipment that you need to have is the printing system you are going to use. The type of printing system that you need will depend on the type of printing you are looking at providing. Basic printers will provide you inkjet, laser, offset and screen settings. However, if you are looking to print vinyl signs then you should look at an extra-wide sign and label inkjet printing system. It is not only the printing equipment that you need to look at, but the design software as well. The design software is essential for you to create the items that your clients want. You will need to have a computer to run the design software on and the type of software you get will depend on the type of printing you offer. There are some simple desktop software systems that you can get which are good for designing business cards and documents. However, if you want complete more detailed designs then you should look at high-end drawing software. It is important that you have software with a good selection of fonts and other images to ensure that your customers in London do not go somewhere else. Once you have your printing equipment you need to consider the stock you need to have. The stock will relate to what you are going to be printing on. If you are going to offer printed t-shirts then you need to have stock of t-shirts in different sizes. You should always have a variety of stock so that your customers will be able to choose the stock that they want to be used for their order. A lot of people who start a printing business do not consider that they need to have cutting equipment. If you are going to be printing documents, business cards or signs then this is a necessity. A hand-operated cutter or a hydraulic cutter will be fine for business cards and documents. However, of you are going to be printing vinyl signs then you will need to have a cutter that is powerful enough to cut through the vinyl. Accounting software is something that every London business will need to have. Without this software, you will not be able to correctly keep track of your cash flow. Many accounting systems will also have a stock system built into them and this is something that you will also need to have. The accounting system that you use should be one that you are comfortable with and that your accountant is able to work with. There is a lot of equipment that you need to have when you start a printing business. It is important that you consider how much the equipment will cost and ensure that you have the capital to cover this.